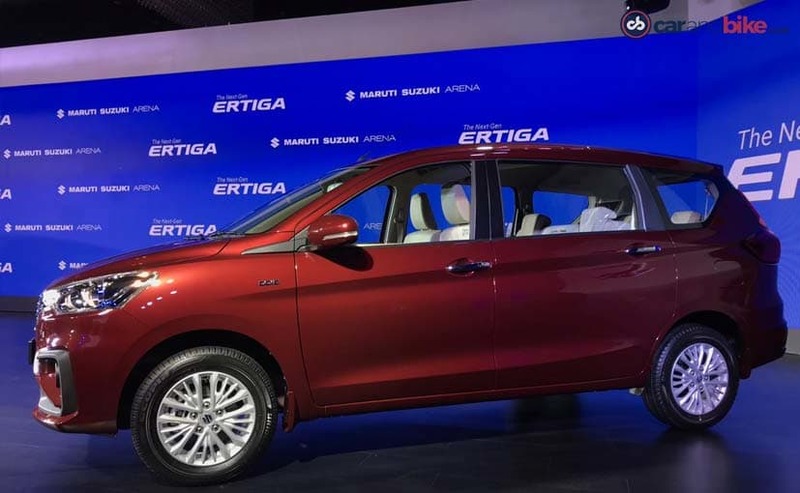 New 2018 Maruti Suzuki Ertiga Price, Images, Specifications & Features: Maruti Suzuki has officially launched its brand new 2018 Maruti Suzuki Ertiga in India with its all new design. The Maruti Suzuki Ertiga is priced at Rs 7.44 lakh to Rs 10.90 lakh (ex-showroom, Delhi). The new 2018 Maruti Suzuki Ertiga is based on the company multipurpose HEARTECT platform. The second-generation Maruti Suzuki Ertiga comes with all-new styling and a bolder design, with all new updated features as well as latest equipments. The new Ertiga comes with a new infotainment system with Apple CarPlay and Android Auto for connectivity. The bookings for the Maruti Suzuki Ertiga, was already started previously this month. The new Maruti Suzuki Ertiga propose more cabin space than the older model with its longer (by 99 mm), wider (by 40 mm) and taller (by 5 mm) design. 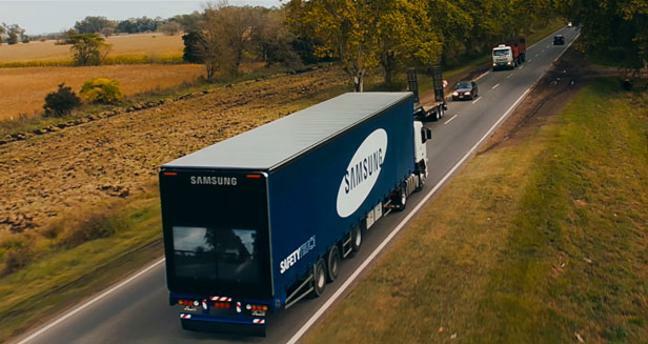 Boot space is also greater than before by increased 50 per cent. With its brand new updates, Maruti likes to call this MPV model as LUV (Life Utility Vehicle). 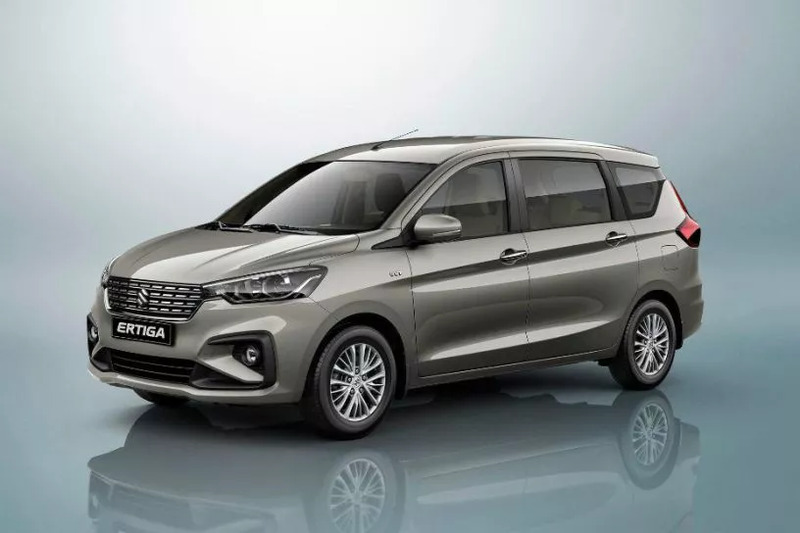 The new Ertiga comes with a new 1.5-litre petrol engine which was firstly introduced in Maruti Suzuki Ciaz facelift in 2018. The new Maruti Suzuki Ertiga, a seven seater model gets finest quality making it more competitive offering in its segment. This latest MPV comes with a bold chrome pixel grille, amazing looking alloy wheels, large projector headlamps with LED DRLs and LED tail lamps etc. Talking about the new cabin design in the latest Maruti Suzuki Ertiga also acquires a smart interior which is stimulated by the company’s new generation cars. It comes with a maple wood finish, dual tone interior with leather wrapped steering wheel, and one touchdown second row seat for easy entrance and outlet for the thrid row. Talking about its safety features, like most of the Maruti models, the new Ertiga comes with an improved safety features such as dual airbags, ABS with EBD as standard, Emergency stability programme, Hill assist, Reverse Parking Camera and Reverse parking sensors. There are four variants offered in the new Ertiga which are L, V, Z and Z+. 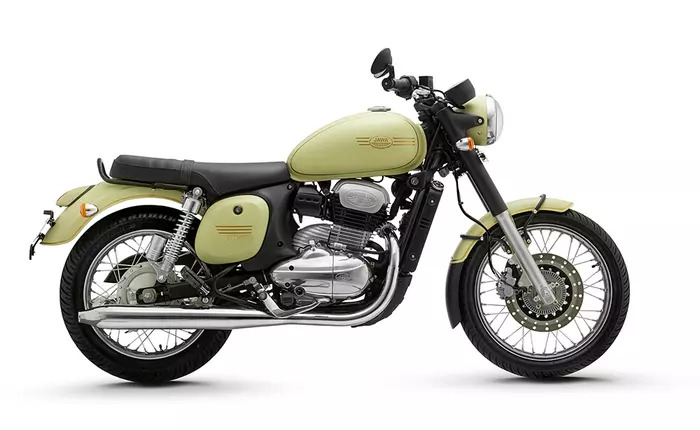 The diesel motor produces 200 Nm @ 1,750 rpm whereas the petrol engine produces 138 Nm @ 4,400 rpm. Here are the 10 variants of the new Maruti Suzuki Ertiga which are ranging from Rs 7.44 lakh starting with the models such as Lxi and the Ldi with the maximum of around 10.44 lakh for the models such as Zxi and ZDi.